Described in Jim Schnabel’s mischievous book Round in Circles, slightly cruelly if not entirely inaccurately, as a cross between Peter Ustinov and Harpo Marx, Michael (not to be confused with the British humourist of the same name), with his light-coloured suits, stylish hats and deep knowledge of the esoteric, was in more ways than one a towering figure with a vital enthusiasm and determination. He contributed widely to books and journals and spoke at many events, while his efforts helped to create a much wider awareness of the crop circle phenomenon. I worked closely with Michael in years past, and wanted to remember his life and the significance of his work here. As Chairman of the circular CCCS, Michael’s authoritative knowledge, together with his charismatic if sometimes quaintly Victorian style of leadership, made him a key personality in the crop circle world, helping to bring gravitas to the subject and playing an important role in disseminating information to the media. In turn, of course, this also made him a public target when the inevitable swing to debunking and personal attacks struck in the autumn of 1991 following the dubious ‘Doug and Dave’ hoax claims, something which hurt Michael, whose intent had never been anything less than honourable. Although the media assault made Michael less inclined to voice his views on metaphysics and more liable to visibly go along with sceptics as damage limitation, quietly he formulated a plan to help gain the proof he felt the world needed that not all crop formations were man-made. With this in mind, he carefully selected a contingent of the Sussex branch of the CCCS (which included me) to help come up with an audacious plan to try to film the creation of a ‘real’ formation by deploying clairvoyance to arrange a rendezvous with the forces behind them. 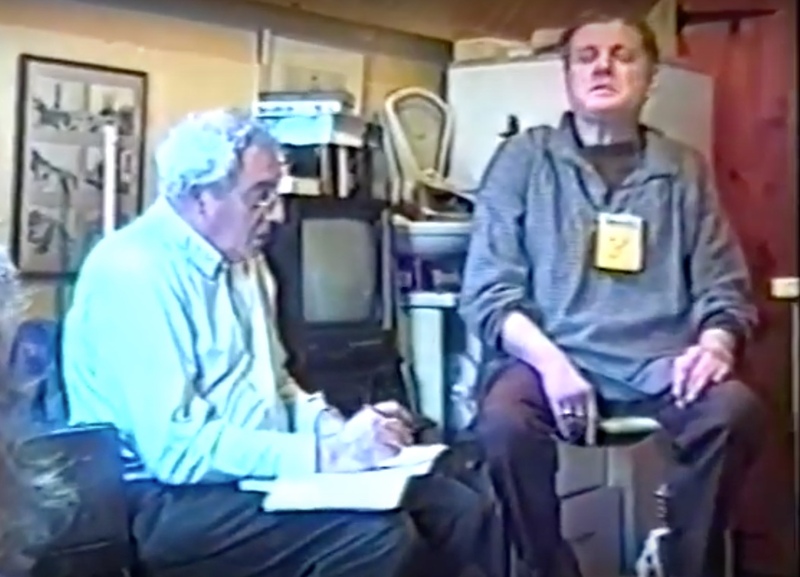 Using the late psychic Paul Bura (pictured here with Michael) as the main ‘channel’, we worked closely with Michael between 1993-1994 and the intriguing results gained over the next few years in general can be read about at: http://truthagenda.org/2017/07/06/new-article-interactive-experiments-with-crop-circles/. Michael was never blasé about the entities he believed we were communicating with, and was always cautious and discerning about their provenance. 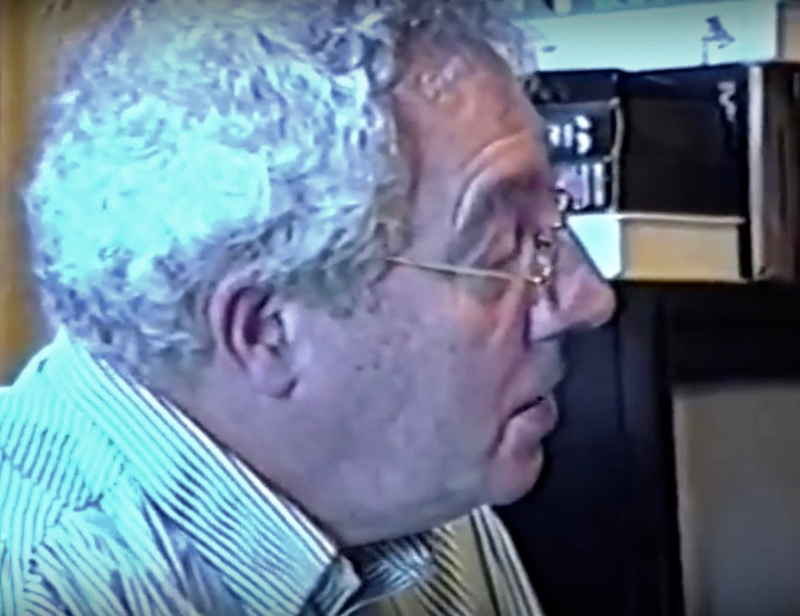 One of Michael’s great strengths was that he always encouraged new investigation and gave opportunities to (then) younger researchers like myself. He allowed platforms at conferences for people who might not otherwise have found a voice, even when he didn’t necessarily agree with their views. Along the way Michael exposed a whole new generation to areas such as the studies of the theosophist Alice Bailey (of who he was a great admirer), while acquainting them with Devic forces and nature spirits, lost languages, various ancient deities, thoughts on Atlantis and ruminating on the likes of beings from the star system Fomalhaut. Eventually people began to better understand the sources he was quoting and once one grasped the interconnecting layers of complex metaphysics he was trying to bring together for a wider audience, a kind of sense to it emerged. As the years went by, the role of CCCS was gradually supplanted by crop circle websites, while in-fighting began to eat away at the organisation’s effectiveness, eventually seeing its closure. But it had achieved its aims in an age when information of this kind wasn’t so easy to come by and it had been a valid force while it lasted. Afterwards, Michael retained his interest in the symbolism of the crop formations he still believed remained important spiritual wake-up calls for humanity and he continued with his own personal researches in a number of areas. 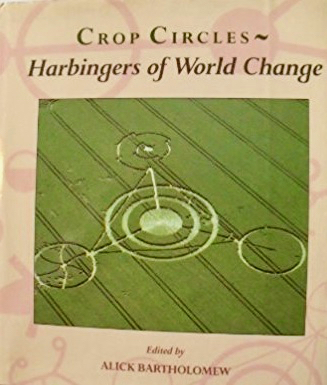 The substantial chapter that Michael contributed for the compendium book Crop Circles: Harbingers of World Change (Gateway, 1991: https://www.amazon.co.uk/Crop-Circles-Harbingers-World-Change/dp/0946551774) is probably the best summing up of his beliefs and philosophy in print. Michael had recently finished writing his long-planned book about the ancient settlements at Godmanchester in Cambridgeshire (which is hoped will still see publication), when, after a period of declining health, he was afflicted with a heavy stroke in the summer of 2017. Attended to by his family and his wife Christine (herself a highly respected antiquities expert and a familiar presence at CCCS events), Michael was made comfortable in the ground-floor of his house in Clapham, London (the location for many of those memorable council meetings), where he passed away peacefully in his sleep this week. On a personal level, I feel I owe something to Michael. He quietly opened helpful doors for me and was candid in the sharing of views and information that he wouldn’t necessarily entrust to others. We didn’t always see eye-to-eye – indeed we often vigorously disagreed with each other, as articles in the Sussex Circular journal I used to edit will attest – yet somehow this never affected our friendship. We remained admirers of each other’s work even among the differences. Perhaps Michael’s twinkle-in-the-eye spirit was best summed up on the very last occasion I saw him, at a big birthday function for a friend. Sitting next to me, with a perfectly decent meal of his own, Michael looked across at my plate, saying “Hmm, that potato looks nice” – and promptly speared it with his fork, transferring it to his own plate! If anyone but Michael had been that brazenly presumptuous, I might have been annoyed, but somehow that kind of thing always seemed funny around him, and we both laughed. He was still the Headmaster (as some of us called him), and I was still the pupil. I let him keep the potato. In compiling this article, I was surprised to find so little substantial information on Michael available online (although there are a few nice TV clips of him at https://www.youtube.com/watch?v=2MN1zl43y5o). He was not a man of the internet age, admittedly, and never much took to computers. Thus, for all the ridiculously inflated claims that the Internet now has all of humankind’s knowledge available on it, the truth is that, as with so much data which predates the creation of websites, the likes of Michael’s wisdom is contained primarily on paper and is currently denied to the electronic world until someone scans it all in. Ironically, this article may be one of the few direct online sources on him that people will find for now, but if so I am glad to be able to provide this tribute so that his life and work are not forgotten. Michael will be much missed. Love and condolences go to Christine and all the family.